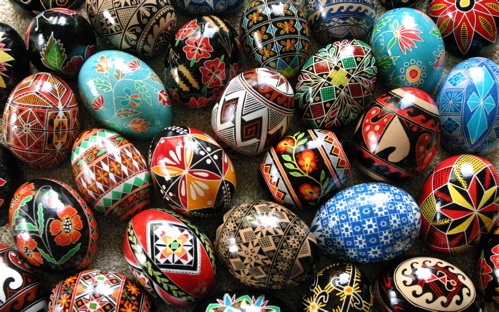 People of all ages can come to the library to decorate wooden Easter Eggs in a variety of Ukrainian styles. Adults can try their hand at using a pysanky pen to write on the eggs using hot wax. Children (Anyone under the age of 13) can use white crayon to achieve a similar effect without the use of hot wax and a flame. Eggs and other supplies are limited. Please call 315-986-5932.